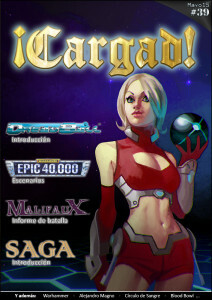 [Warhammer] English version of MdNR | | ¡Cargad! This is a message for the english-speaking Warhammer players that somehow come to Cargad looking for a new 6th edition experience. MdNR (stands for «Manuscritos de Nuth Reloaded», which could be translated as «Manuscripts of Nuth Reloaded»). Those are a collection of PDF’s that copy the 6th edition armybooks (with erratas, FAQs and clarifications), adding all options that were part of Warhammer from 3rd to 8th edition. That is, PDF’s to play with Warhammer 6th edition, keeping its core, but allowing players to use all their Warhammer models (from 3rd to 8th) in a (hopefully) balanced way. They are all here (in Spanish, currently). In 2015 with the decease of the Old World. All options in 6th edition. Everything that was in 6th edition is in MdNR, from army books to white dwarf characters, from end-of-book lists to Annual’s options. All options from 3rd to 8th. That means, generally, that if something had rules and miniature, it is in MdNR. Things that had models but not rules (ie «this limited edition skeleton has an UZI» but this option was not in rules) are not added. Things that had rules but were not reflected on models («My pegasus has an option to a chainmail bikini») are not added. Of course there are a few excepcions (for instance all those special characters that never had a model like Mazdamundi). This are just the main rules, there might be some exceptions. Those have been the phases in this project. Phase 1: Identification. Identifying the Things To Add. Phase 2: Proposal. Rules proposal for all the Things To Add. Phase 3: Gdocs. A google «live» document was created for every army, so players could play with those gdocs. The documents were a compendium of 6th + Things To Add. Phase 4: Army books. Army books have been created for all armies, in PDF (and pretty) format. Phase 5 (Currently): Revision. (Only spanish) After literally thousands of games played, we have found some gaps, things to be improved and options that should be different. We (MdNR Inner Circle) have been working hard for months to offer proposals. We are discussing them with players, just to identify what to improve / rebalance. Phase 6 (2019): Revised Armybooks. During this year we’ll offer the new PDF’s with all erratas fixed and all the proposals on it. It’s supposed to be the definitive version, barring big mistakes. Phase 6 (2019-2020): English Armybooks. YES, that’s why you came here. We’ll offer English-speaking WH6 players all the armybooks translated for gaming (that means no Special Characters background, at least until someone else translates it). You will have directly the «revised» version, so you’ll play with more balanced options. In Spanish we’ll have a Phase 7 which is the Collector’s Edition with all the background (like an old army book but bigger) and a complete catalog with all the models that have existed from 3rd to 8th. No plans to do it in English (at least until someone else translates it). Ok, I’m a Warhammer 6th player, what do I need? The rulebook and all the FAQs. (Direwolf Rulebook FAQs are the best ones IMHO, if you cannot find them, we’ll try to put them here). And the MdNR army books. And models, dices… and an oponent. You DO NOT have to learn new rules, use 6th edition. No modifications to rules. It’s purely 6th edition, but with more options. Ok, I’m a Warhammer 7th player… can I play with MdNR? YES. Like 6th edition Armybooks, which were useful during 7th, you will be able to play with 7th edition ruleboook AND MdNR army books. Yes, 6th edition army books were «less powerful» that their 7th edition. So using 7th rulebook with MdNR is like playing 7th with 6th army books. Ok, I’m a Warhammer 8th player… can I play with MdNR? I suppose answer is «yes» since you could play with Bretonnia army book (and TK, OK, WE during months). Just try it. We hope it is balanced. During revision phase we have found some kinda «magic algorythm» where (almost) everything «purely 6th edition» first (like monsters). We have found some standard 6th ed inconsistences, but we cannot fix them. No changes in what was in 6th edition is a line we don’t cross. Actually, if you have spare time you can translate the special characters background (copy-paste to Google Translate and «fix» it) for your favourite army. When will it be available in English? As we’ve said, after Revision phase. 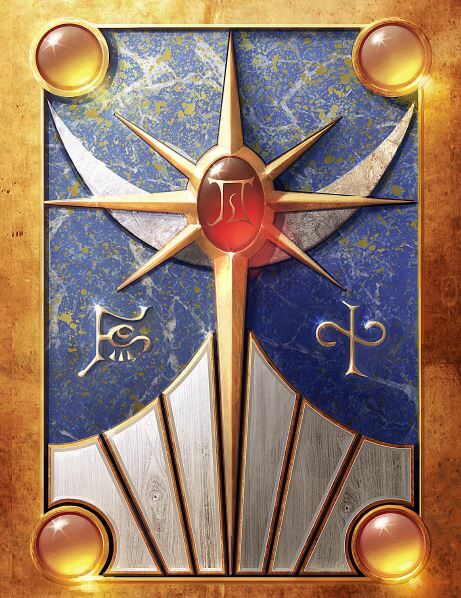 Later this year first books should appear… in spanish alphabetical order (so first one should be High Elves). Will it be in other languages? Please, feel free to leave any comments below. Thank you! Me viene de perlas (ninguno de mis amigos habla castellano 😢) así podrán probarlo!. Si necesitas un cable o ayuda traduciendo yo me ofrezco (tengo buen nivel de inglés). Aprevecho para unirme a @Jericho a la hora de ofreceros un cable si necesitáis ayuda en la traducción al inglés. Lo hablamos durante el último torneo de Corredores de Sombras. Visto el interés que hay en el exterior, merece la pena el esfuerzo. Pues como mis compañeros, también me ofrezco a poner mi granito de arena para la traducción. No tengo mucho tiempo libre pero si necesitáis mano de obra esclava ya sabéis.